Yesterday President Trump nominated three judges, Daniel Bress, Daniel Collins and Kenneth Kiyul to serve on the infamously leftist Ninth Circuit Court of Appeals. 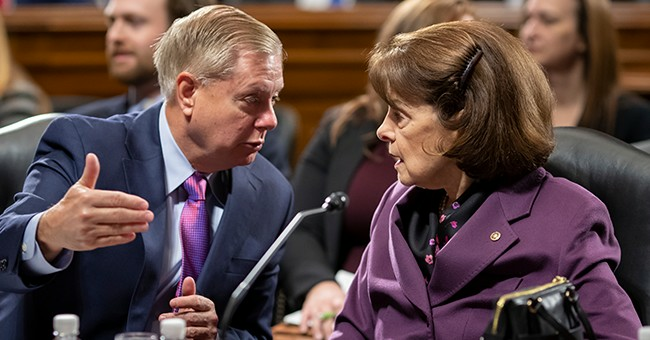 On Thursday, Senate Judiciary Committee Chairman Lindsey Graham backed the President's nominees and vowed to get them confirmed. The left is starting to panic about the nominations, given they will flip the most liberal court in the country. Judiciary Committee Ranking Member Dianne Feinstein attempted to control the nomination process and was ultimately rejected by the White House. Meanwhile, the Judicial Crisis Network has been running television ads around the country urging Democrats to stop their obstruction. Last week President Trump sent 51 nominations for federal judgeships around the country to the Senate for confirmation.